Today is a 7th grade band and lesson day. Group Four lessons meet today. Jazz Band will practice today from 2 to 3. Today is an 8th grade chorus day. Student council will sell Valentines candy grams before school. The cost is $1. The candy gram is a message with a bag of candy attached. They will be delivered to homerooms on Thursday February 14th. Send one to a friend, teacher or a secret admirer. 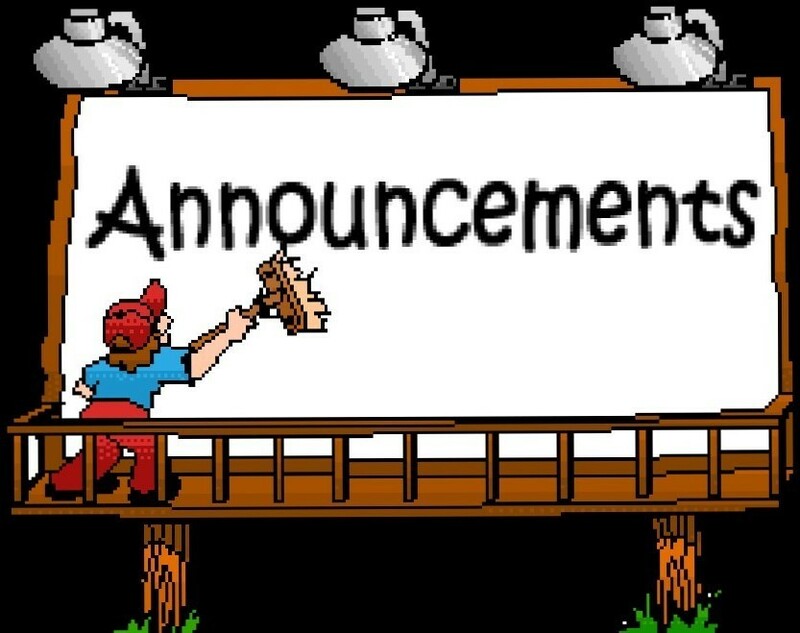 Student council will meet today from 2-3 in the guidance office. Karaoke club will meet in room 13 from 2:00 until 3:15. Everyone is welcome! Auditions for Sanford's Got Talent 2019 are next week!! If you have an audition form that you need to hand in, please see Mrs. Houle in room 28 - off the gym - to get your audition time! If you need a form, they are hanging on the wall across from the cafe, in the 6th grade hallway and in the 7th grade hallway, or ask your homeroom teacher! Win up to $100 cash! The Sanford STEAM team will be meeting in the library today and continuing every Tuesday and Thursday from 2:00 - 3:30. We will have access to two 3D printers, Lego Robotics, cameras, electronics, and more. There will be posters around the building with information and a link to a sign up or see Mrs. Williams for more information.